Unsurprisingly, we disagree with the court’s decision. One of the frustrating aspects of the ruling is that it allows the government to continue to ignore Congress’ clear command in USA Freedom to review all significant decisions by the FISC and release them to the public. This is important because we know that the FISC has authorized government surveillance that other federal courts found to be illegal, such as the mass collection of American’s telephone records, and deeply troubling, such as reportedly ordering Yahoo to secretly scan all of its users’ email messages. The government has argued that USA Freedom’s transparency provisions only apply to decisions issued after the law passed in May 2015 and that Congress did not intend for the government to go back and declassify older FISC decisions. Again, we disagree. The government’s argument contradicts the clear direction Congress gave in USA Freedom to review all significant FISC decisions. It also ignores the intent of Congress, as members who drafted and sponsored USA Freedom repeatedly stated that the transparency provisions were designed to end secret law created by the FISC. Even after USA Freedom passed in 2015, members of Congress called on the government to declassify and release significant opinions. We think it’s outrageous that the Executive Branch has ignored Congress’ command. And we hope that as Congress considers ending the NSA’s mass telephone records program, it can be even more explicit in requiring the government to declassify all significant FISC opinions, perhaps clarifying that the word “each” means “every” and “all,” which is what the word actually means. Although the court’s decision this week is a setback to ending secret law created by the FISC, the lawsuit successfully pried more than 70 previously classified FISC decisions from the government that the court issued after 2001. These decisions showed a number of troubling actions by the government and the FISC, including the fact that the court is so secretive that a service provider challenging a FISC order couldn’t even access the law the government was citing in legal papers as it sought to force the provider to comply. Opinions disclosed as a result of EFF’s lawsuit show how the FISC itself struggles to get direct, honest answers from the government about misuse or abuse of surveillance the court had previously authorized. 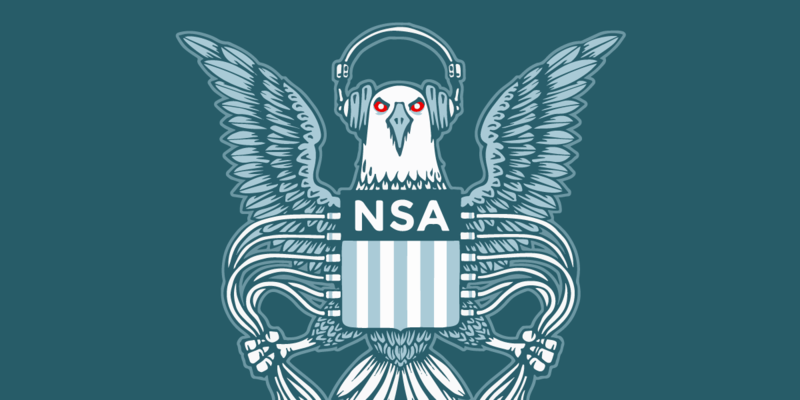 Other orders showed that even with direct authorization from FISC judges, the government abuses the powers it is granted to conduct surveillance, a troubling fact given that much of the NSA’s mass surveillance does not require individualized authorization by FISC judges. The opinions are publicly available here, here, here, and here. Finally, although we are still deciding what comes next with this case, rest assured that EFF will continue to push for greater transparency from the FISC, including getting all significant decisions it has issued since the 1970s, and for an end to secret law.